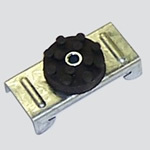 Resilient Sound Isolation Clips RSIC offer maximum attenuation of noise and vibration. 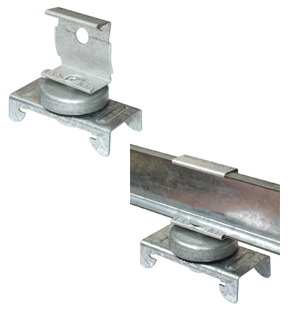 RSIC™ Resilient Sound Isolation Clips provide two unique approaches to sound privacy that will prevent sound from transmitting through your walls or floor/ceiling assemblies in condo's, multi family construction and high-rise buildings. Enhanced Resilient Channel offers high STC and IIC. Using resilient channel alone will achieve STC 55. 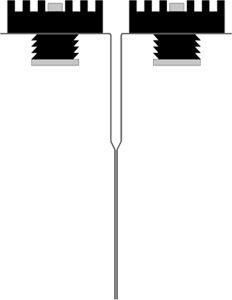 When used with mass loaded vinyl and a secondary layer of sheetrock, STC can increase to 67 and as high as 72 points. 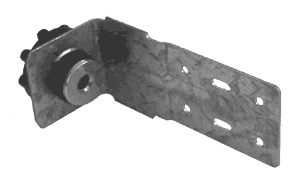 The RSIC-V is designed for use with various framing designs and applications. 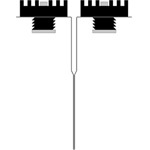 The RSIC-V limits the connection points between the gypsum board and the structure in walls and ceilings. The RSIC-DC04 and RSIC-DC04X2 are very versatile products. The most common use is the decoupling of wall systems. 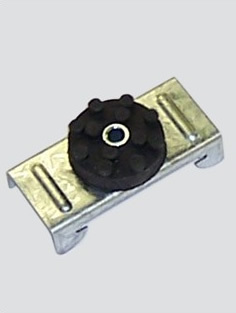 The design of the RSIC-DC04 can be used in new construction or retrofit. 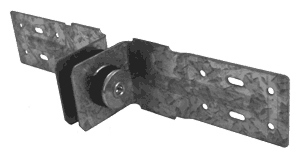 The RSIC-CWB has been used for several different acoustic needs. 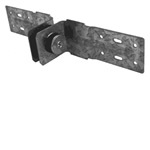 The most common use for this clip is to decouple two framed walls from each other. Some of the other uses are separating Brick or CMU walls from a framed wall to help ensure the two walls are isolated from each other. 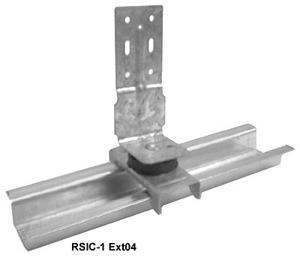 The RSIC-1 EXT04 is designed for use where an additional drop for HVAC, Plumbing, or Electrical Chases is needed. 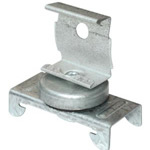 This clip gives you the flexibility to drop a ceiling as much as 4" from its original height. 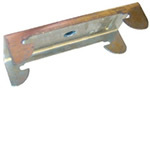 The RSIC-1 EXT04 is also used to level out uneven floor joists. 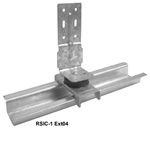 The RSIC-1.5CRC is designed for use with any joist or concrete application where a dropped drywall ceiling is required. 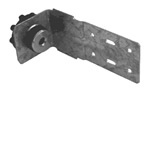 This assembly decouples the Gypsum Board from the floor structure above, giving the assembly enhanced acoustical performance, while allowing for a chase to hide mechanical ducting and plumbing lines. 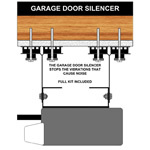 Are you tired of being woken up when someone opens your garage door? 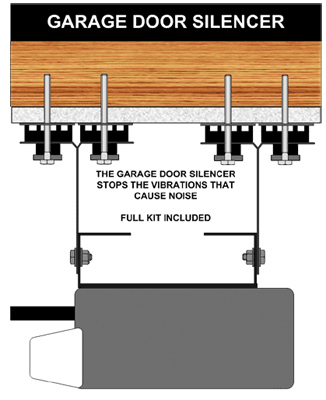 The garage door opener kit provides sound isolation when a garage door opens or closes.